A dream come true! 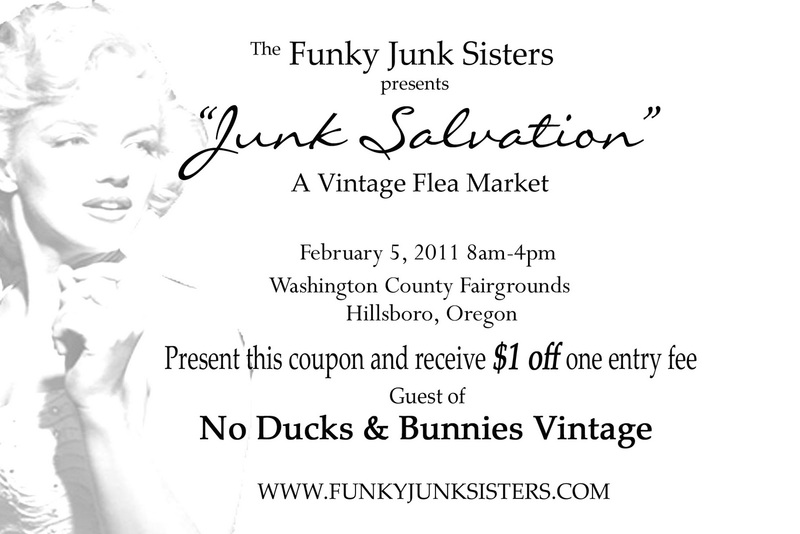 I have been selected as a vendor at the Funky Junk Sisters' Junk Salvation Vintage Flea Market in February! I am so excited! 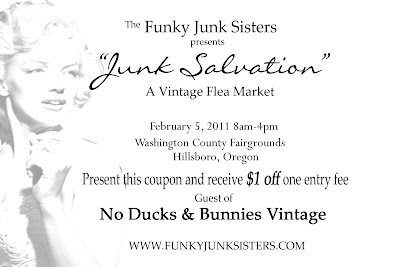 Come visit my booth; I will have nice furniture and other stylish things... The coupon below will get you $1 off the entry fee.